When you get down to the bottom of it, only about half of what we remember really happened. We tend to modify things to make ourselves look better in our own eyes and in the eyes of others. Then, if what we did wasn't really very admirable, we tend to forget that it ever happened. A normal human being's grasp on reality is very tenuous at best. 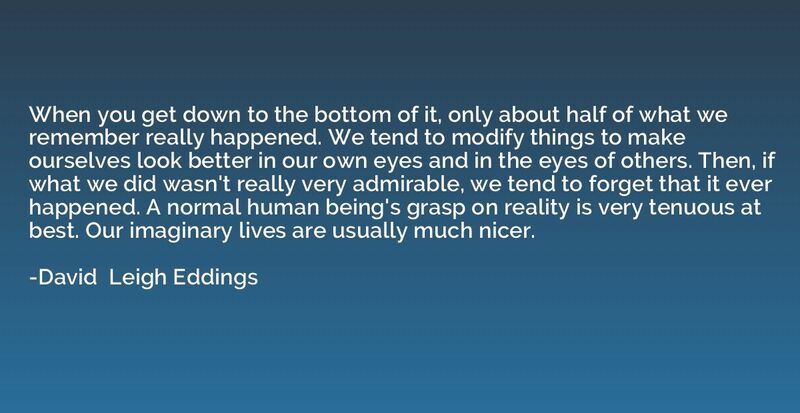 Our imaginary lives are usually much nicer.